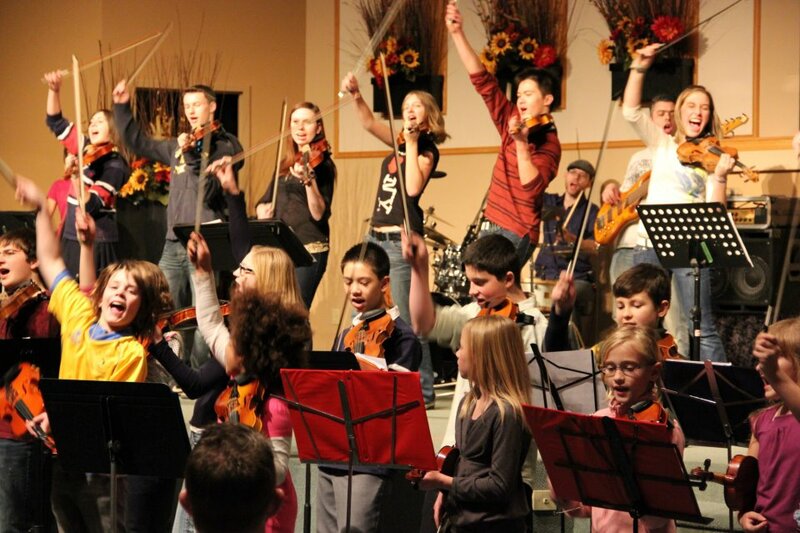 An Educational Division of the Calgary Fiddlers Association, the Bow Valley Fiddlers are an impressive group of youth learning to perform the art of fiddling in an ensemble, and making life long friends along the way! The Calgary Fiddlers Association often brings in world class fiddle musicians to work with the Bow Valley Fiddlers and Calgary Fiddlers. Learning, watching and performing with some of the leaders in the music industry gives our students professional exposure, while making life long connections with the industry's best. Dressed to impress, the Bow Valley Fiddlers perform for a number of events in and around the Calgary area. Performances can be from 5 min. to 45 min. in length and truly feature these amazing young people, both musically but also through public speaking and choreography. Bring toe-tapping fun to your next event! Do you want to give your child a unique and rich experience in the arts? In the Bow Valley Fiddler program, your young violinist will have the chance to connect with other students who love music and love to perform. They will learn countless life skills along with an amazing array of popular music, from Canadian Folk Fiddling to Bluegrass, Celtic, Big Band and event Pop!